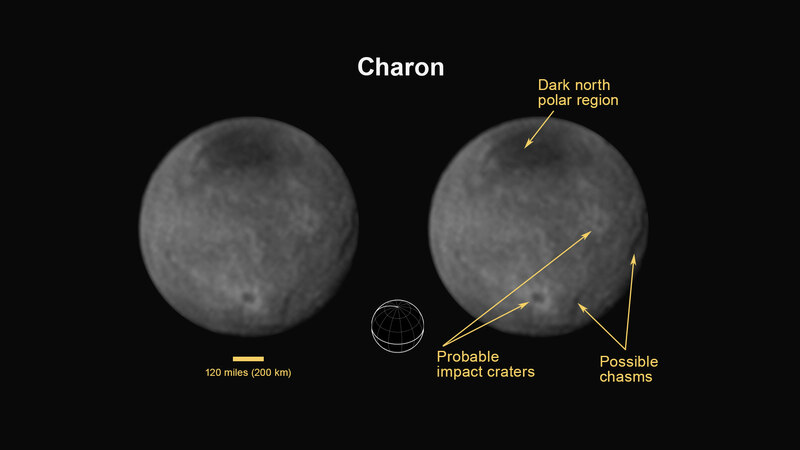 In just a few short weeks, NASA’s New Horizons spacecraft will make its historic flyby of Pluto and its moons. Solar panels are unable to operate in the dim nether regions of the outer solar system, and instead, New Horizons employs something that every spacecraft that has thus far ventured beyond Jupiter has carried in its tool kit: a plutonium-powered Radioisotope Thermoelectric Generator, or RTG. The use of nuclear power to explore space is one of the few happy chapters of the post atomic age, and nuclear power may one day give us access to the stars. In the 1950s, atomic energy was seen as a panacea as well as a curse, a sort of Sword of Damocles that both hung over the human race, while also holding the promise of its salvation. This was before the disasters in Fukushima Daiichi, Chernobyl and Three Mile Island, which would serve to sour the public to all things nuclear. One of the first spacecraft that sported an RTG was the Transit-4A satellite launched on June 29th, 1961. Another similar satellite in the series, Transit-5BN-3, was lost shortly after launch along with its plutonium-fueled RTG, which reentered over the Indian Ocean. The Soviet satellite Kosmos 954 also reentered over the Canadian high Arctic in early 1978 along with its onboard nuclear reactor. And when Apollo 13 returned to Earth, the crew jettisoned the Aquarius lunar landing module over the Pacific, where it reentered along with its plutonium RTG meant for the ALSEP experiments that the Apollo astronauts placed on the Moon during every mission. Every launch from Cape Canaveral of a nuclear RTG is sure to draw a scattering of protesters, though NASA estimated a catastrophic launch failure involving an RTG rupture during the New Horizons launch at 1-in-360. These fears reached a crescendo during the launch of Cassini in 1997, which also featured an Earth slingshot flyby on August 18th, 1999 en route to Saturn. A nuclear RTG works by utilizing the waste heat generated by the radioactive decay of plutonium-238. This not only has a half-life of 87.7 years, but it also generates a very respectable 560 watt-seconds per kilogram per second. Unfortunately, the stuff we weaponize for nuclear bombs is a separate isotope known as Pu-239, and it can’t be repurposed for RTG use. The production of plutonium-239 for nuclear weapons during the Cold War did, however, also assure that the capability to also create Pu-238 for spaceflight was on hand until production was ended in the United States in 1989. 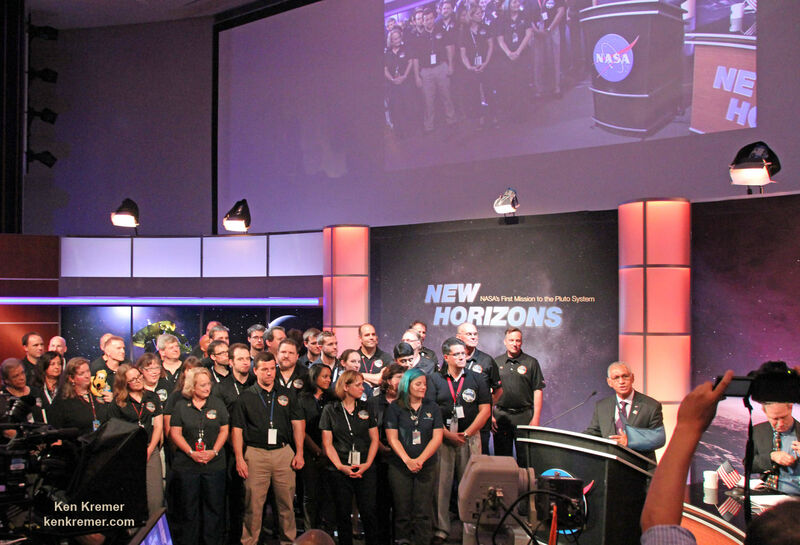 A roll call of RTG-equipped spacecraft reads like a ‘Who’s Who’ of outer solar system space exploration and includes: Pioneer 10 and 11, Galileo, Cassini, the Mars Science Laboratory, Voyagers 1 and 2, Vikings 1 and 2, and the aforementioned New Horizons spacecraft bound for Pluto. Fun Fact: the plutonium powering Curiosity as it explores Mars was actually bought by NASA from the Russians. As of this writing, the Mars Rover 2020 mission is the next spacecraft to break the surly bonds that will sport, like Curiosity, a plutonium-powered MMRTG. A proposed Uranus Orbiter mission named HORUS (This stands for—deep breath— the Herschel Orbiter for Reconnaissance of the Uranus System, because ‘Uranus Probe’ just doesn’t sound right) would have also utilized and RTG. The Europa Clipper mission to Jupiter’s moon Europa set to launch around 2025 chose solar cells over a nuclear RTG, though it’ll have to thread through the perilous radiation environment surrounding Jupiter. In fact, the Juno spacecraft set to enter orbit around the planet Jupiter next year will be the first Jovian mission that won’t utilize nuclear power, though it requires three enormous solar panels to compensate. Just how much plutonium NASA has on hand courtesy of the Department of Energy is classified for security reasons, but it’s thought to have enough for one large and one scout-class mission remaining. New Horizons incorporates 10.9 kilograms of plutonium, and it’s interesting to note that any alien civilization that finds a human spacecraft orbiting the plane of our Milky Way galaxy millions of years hence could date its manufacture from the radioactive decay of what very little Pu-238 versus decay isotopes remains in its RTG. NASA has announced that the US Department of Energy will indeed resume the production of plutonium to the tune of about 1.5 to 2 kilograms a year starting in 2016. On the downside, NASA did, however, halt the development of its Advanced Stirling Radioisotope Generator (ASRG) in 2013. This is a somewhat contradictory decision, fueled more by politics than practicality given the current scarcity of plutonium. The ASRG design was to be four times more efficient than current MMRTGs (MM stands for Multi-Mission) and would have thus utilized less of the dwindling stockpile of existing Pu-238. Sadly, the lingering shortage of plutonium may have a dire impact on the future of outer solar system space exploration. As Cassini, New Horizons and the Voyager spacecraft wrap up their respective missions, our ‘eyes on the outer solar system’ may go dark, as the current golden era of planetary exploration draws to a close for now, or at least, awaits a new generation of plutonium-powered spacecraft to take up the mantle.